This fun sign is the first to greet motorists exiting off the freeway at California Street, giving visitors a sense of what to expect as the turn the corner. 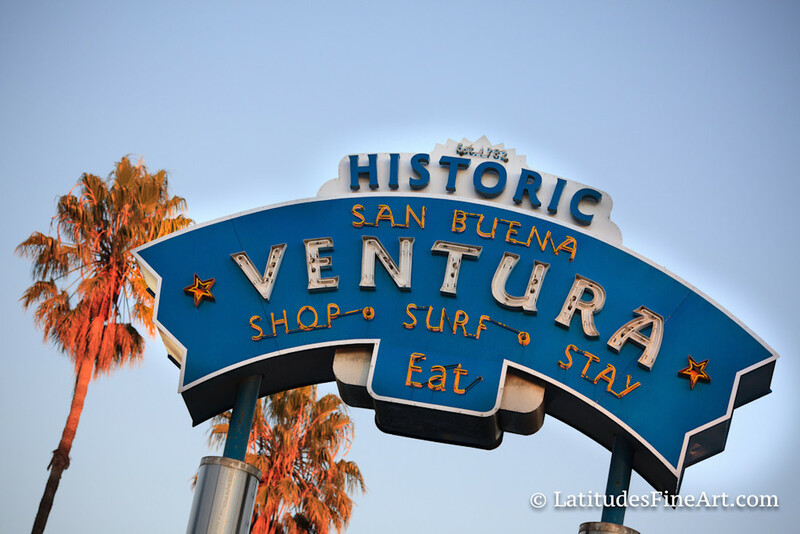 Ventura has it all...shop..surf...eat...stay! Photographed by Stephanie at sunset with the golden light on the palms.